â–º Instant Download and Untagged: ðŸ’° Lease Beat : http://bsta.rs/bq965 ðŸ’Ž Website: http://www.Benn-i-Productions.com ðŸ’Ž Beatstore: http://www.Reggaebeats.shop ðŸ“§ Email: benn-i@benn-i-productions.com âž• Subscribe: http://bennie.me/Subscribe FREE DOWNLOAD FOR TAGGED MP3: http://bsta.rs/bq965 SIDE 2 SIDE RIDDIM | Reggae, Roots Follow me on Social Media: ðŸ�¤ Twitter: https://www.twitter.com/Benn__i ðŸ�¤ Twitter: https://www.twitter.com/BennieMellies ðŸ“· Instagram: https://www.instagram.com/BuyReggae ðŸ“· Instagram: https://www.instagram.com/BennieMellies ðŸ’Ž Video Credits: - Bennie Mellies - http://www.youtube.com/benniemellies â™ª Looking for the Reggae Remix of Side 2 Side (FREE DOWNLOAD)? - https://soundcloud.com/reggae-beats-riddims/side-2-side-benn-i-reggae-remix-ariana-grande-nicki-minaj YouTube Side 2 Side Reggae Remix: https://www.youtube.com/watch?v=LQiiar6x9ko Check out our brand new channel on YouTube: - Beatmillionaire - https://www.youtube.com/channel/UCLwP6j4vinrKOz_26jZUU0Q Â© Copyright Bennie Mellies Â® Benn-i Productions Beats Beats by Benn-i Benn-i Beats Beats by Bennie Mellies =-=-=-=-=-=-=-=-=-=-=-=-=-=-=- Looking for all my Beat Genres? Check here: http://bennie.me/Reggae-Beats-Playlist http://bennie.me/Dancehall-Beats-Playlist http://bennie.me/Reggaeton-Beats-Playlist http://bennie.me/Afrobeats-Playlist http://bennie.me/Produced-by-Benn-i â�¤ðŸ’›ðŸ’š.ws or Reggaebeats.shop =-=-=-=-=-=-=-=-=-=-=-=-=-=-=-=- A B O U T Side 2 Side The Side 2 Side Riddim is a fresh new reggae beat. 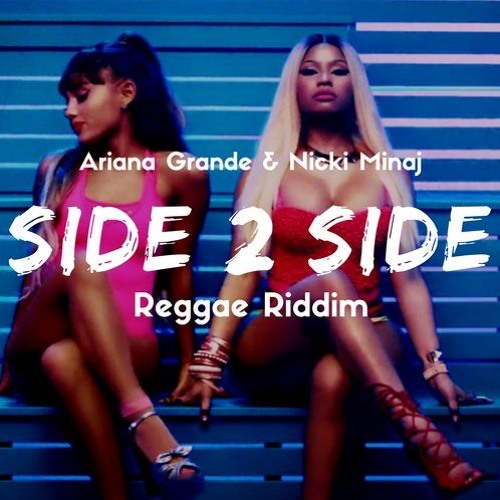 The riddim was made from the Reggae Remix by Benn-i with Nicki Minaj and Ariana Grande on the track Side 2 Side. Side 2 Side Riddim is available for lease. This beat would also be perfect for an artist like Beenieman or Kranium, Wizkid or Mr. Eazi.